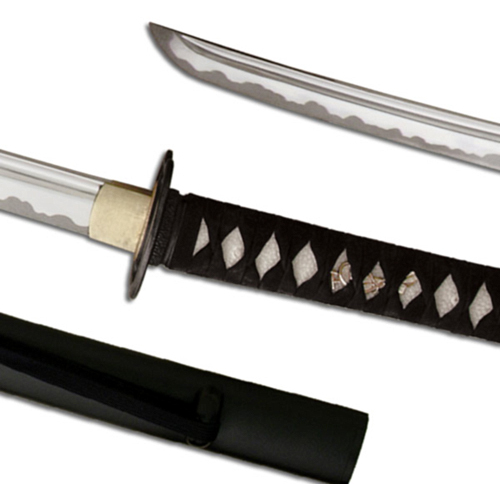 A blunt bladed shinken (training sword) for iaito, iaijutsu, partner training, and film / stage / reenactment combat. Forged from stainless steel, the tempered blades are not only maintenance-free but more importantly provide the correct weight and balance needed for the rigors of repetitve practice. The Musashi iaito features genuine same' on the tsuka, with a tightl leather tsuka-ito. The long tang is double-pegged for security. 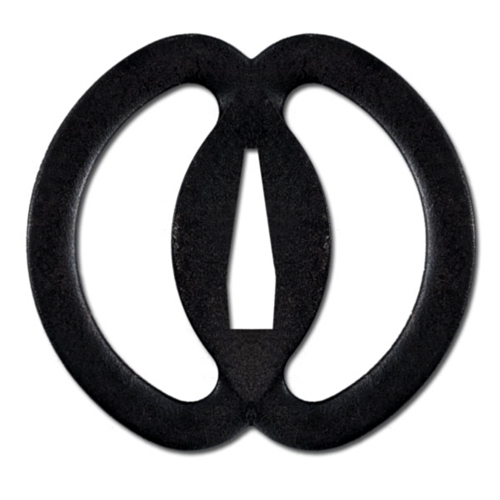 Named for one of the most renowned swordmasters in Japanese history, this iaito features the famous "double ring" iron tsuba.